Justin Bieber Punches Man Accused of Grabbing Woman's Throat at Coachella Party: Report - Integration Through Media ....! Justin Bieber‘s Coachella weekend had an alarming moment, according to TMZ. According to TMZ, the man “would not release his grip on her,” and Bieber intervened. After punching the man and pushing him against the wall, the woman was able to leave the situation, the outlet said. According to a statement from authorities, “investigating officers responded to the residence where the alleged battery occurred but were unable to locate any witnesses or evidence of a battery.” Additionally, the woman “declined to press charges for the alleged battery and had no visible injuries at the time of police contact,” police said. Patrick Schwarzenegger was also at the event, TMZ reports. A rep for Schwarzenegger did not immediately return PEOPLE’s request for comment. 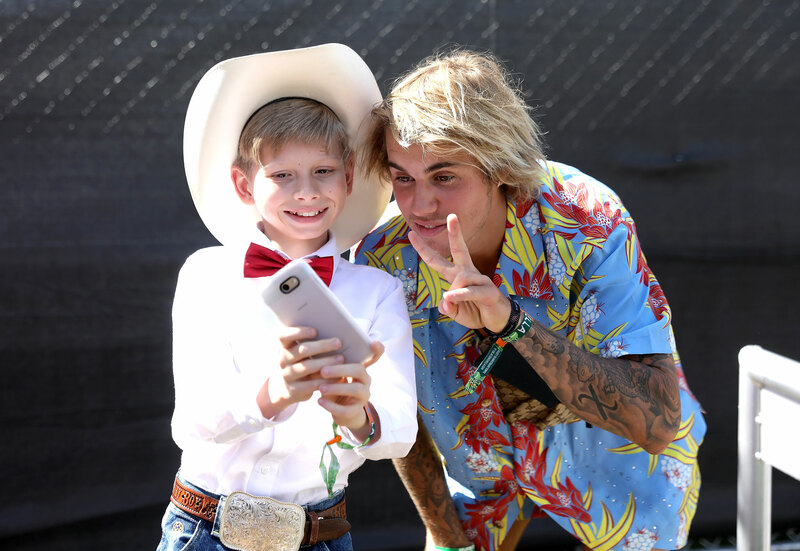 Though Bieber was not scheduled to perform at Coachella, he supported Walmart “Yodel Kid” Mason Ramsey, posing for selfies with the internet sensation at the music festival.